Small overall diameter makes these bits ideal for lower horsepower routers and single speed routers. 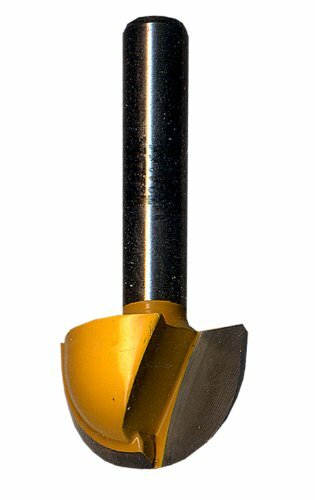 1-1/2" Overall Dia (D), 23/64" Minor Height (m), 1-5/8" Carbide Height (h), 1/2" Shank, 3-3/16" Overall Length (H). Application: Creates full sized raised panels by feeding 3/4" stock vertically. Made In Italy. 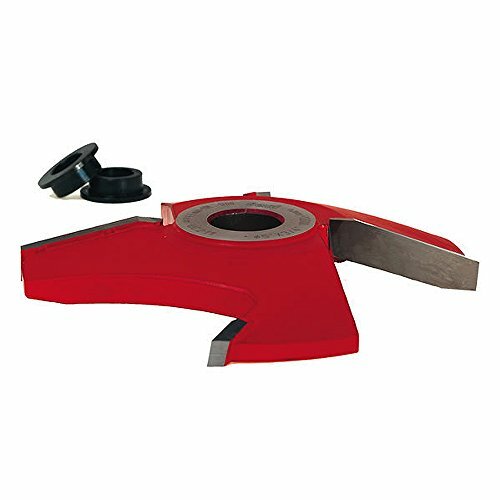 Freud's exclusive 2+2 raised panel cutters produce raised panels that are glass smooth, even on cross grains, and never have the bothersome fine splinters at the top edge of the profile. Two main wings form the majority of the profile while two smaller cutters with a negative Shear angle smooth the vertical part of the profile to eliminate fuzzing. These cutters form a 1/4-inch Tongue in 3/4-inch stock. 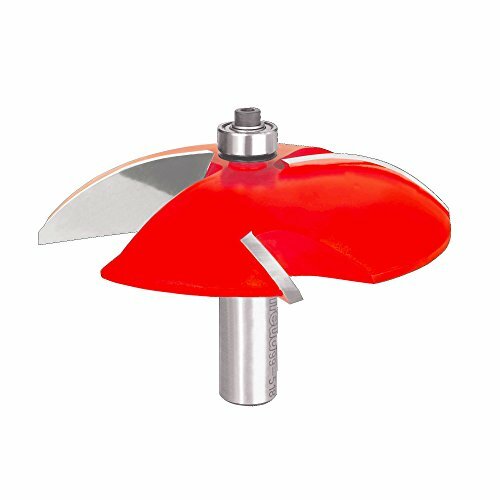 4-15/16 inch diameter, 43/64-inch carbide height. Covered by Freud's limited lifetime warranty. 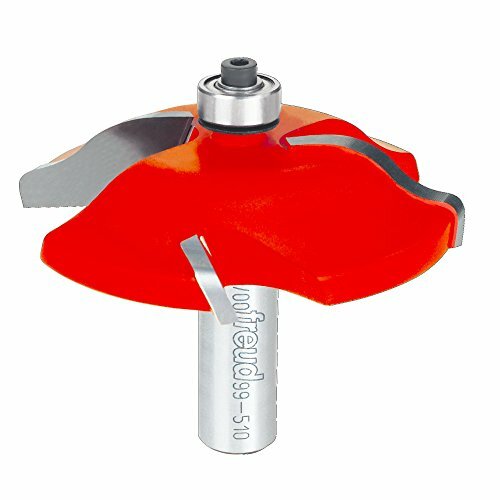 Freud's exclusive 2+2 raised panel cutters produce raised panels that are glass smooth, even on cross grains, and never have the bothersome fine splinters at the top edge of the profile. Two main wings form the majority of the profile while two smaller cutters with a negative Shear angle smooth the vertical part of the profile to eliminate fuzzing. These cutters form a 1/4-inch Tongue in 3/4-inch stock. 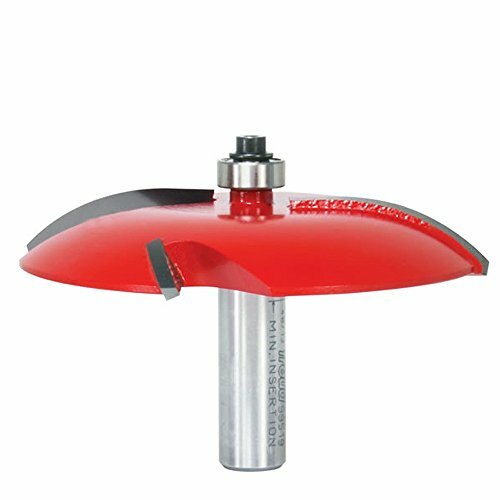 4-15/16 inch diameter, 5/8-inch carbide height. Covered by Freud's limited lifetime warranty. Freud 3-1/2" (Dia.) 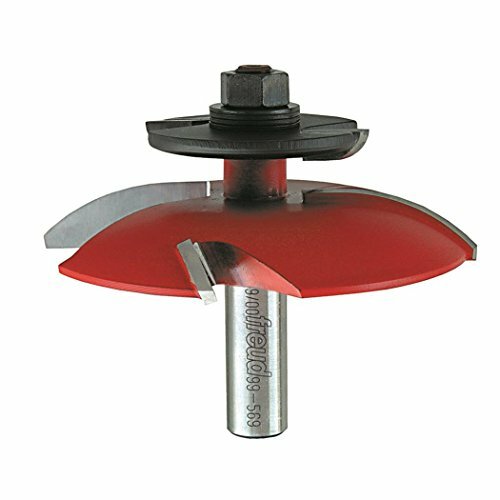 Raised Panel Bit with 1/2"
Freud's exclusive Quadra-Cut 4 cutter design provides the smoothest cuts possible. You'll get crisp, clean edges every time, even with cross-grain cuts in difficult materials. 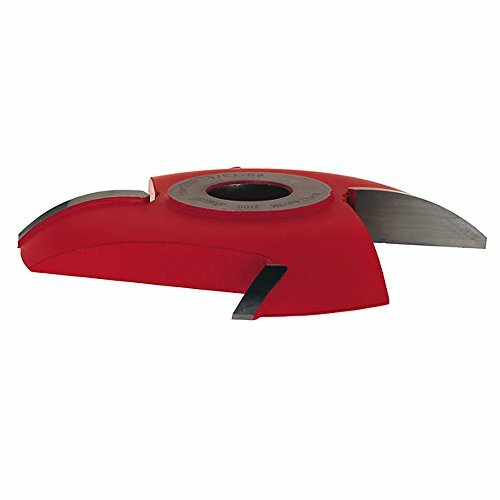 Application: Ideal for creating raised panels for doors and paneling, as well as decorative tops, plaques and molding Revolutionary Quadra-Cut™design combines two small wings that cut downward to shear the top edge for a splinter-free surface, and two large wings that shear upward for a smooth finish. Use 1/2" height for 5/8" stock. Use 5/8" height for 3/4" stock. Cuts all composition materials, plywoods, hardwoods, and softwoods. Use on table-mounted portable routers. Freud 2-3/4" (Dia.) 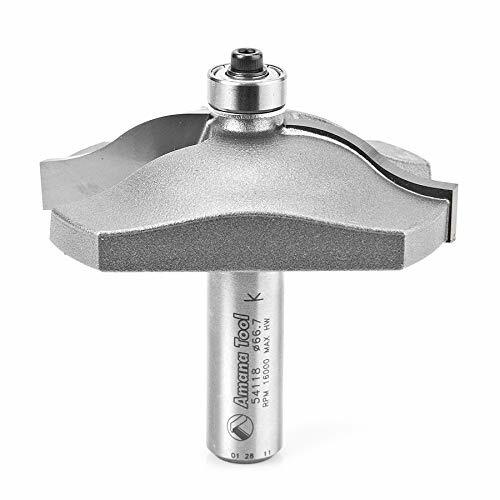 Raised Panel Bit with 1/2"
Revolutionary Quadra-Cut™design combines two small wings that cut downward to shear the top edge for a splinter-free surface, and two large wings that shear upward for a smooth finish. 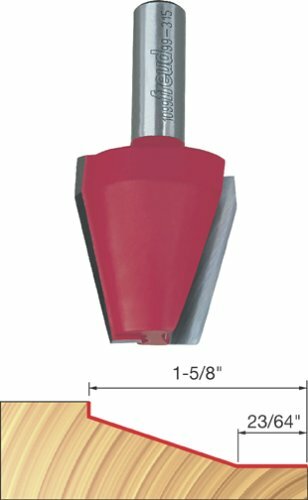 2-3/4" Overall Dia (D), 5/8" Carbide Height (h), 1/2" Shank, 2-1/2" Overall Length (H), 35/64" Large Radius (R1) Ideal For: Creating beautiful raised panels for cabinet doors or wall paneling. Application: Ideal for creating raised panels for doors and paneling, as well as decorative tops, plaques and molding. Made In Italy. 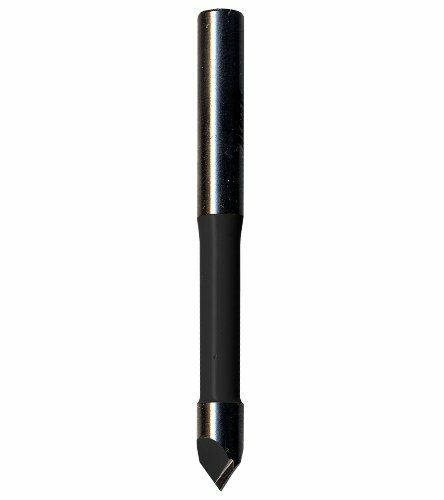 Compare prices on 0.75 Raised Shank at Elevelist.com – use promo codes and coupons for best offers and deals. We work hard to get you amazing deals and collect all avail hot offers online and represent it in one place for the customers. Now our visitors can leverage benefits of big brands and heavy discounts available for that day and for famous brands.